The huge rise of mobile users has drastically changed the web world and businesses are now focusing more on mobile optimization to fetch good SEO rankings. The online traffic of today has very low patience quotient due to the top-notch competitive environment. No one wants to navigate in the slow interface which is cluttered and not finger-soothing. Grievances become wide when there is a lot of data to skim. Here arises the demand to opt a technique that can result in promoting page load speed in mobile devices and to produce faster mobile websites. The answer is Google’s Accelerated mobile pages, or AMP , which retains the integrity of your featured content as an evolution of mobile UX. AMP can be considered as a framework that can help serve web pages to the mobile devices in no time using minimal resources. This appreciating effort made by Google acts as a strong ranking medium for a website and in turn puts a great impact on organic visibility. 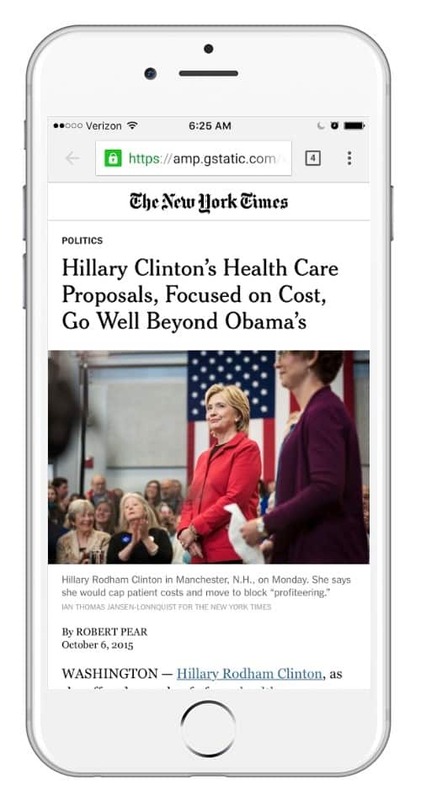 You can also think AMP as an effective way to fast-track content to the mobile devices. It surpassed the traditional process of mobile content display by completely relying on AMP HTML where the content representation is stripped down. Let’s look at the below example to know the AMP effect. Here, the articles will be visible with basic text and images keeping the load speed up to 10 times faster as compared to the old formatted content style. From ranking point of view, Google puts page speed and mobile-readiness on the top of the list. It is obvious that a website with fast loading speed will cater more to the mobile devices and hence will soon clicked by web searchers. It will certainly determine the placement of your website within the search engine result pages. Better speed will certainly translate into more page views and less users that bounces back. This results in more ad views and content engagement over the web with an intent to gain wide reach of audiences. With changing times, now people are more dependent on the mobile devices in comparison to the desktops and laptops. A relaxing UX is the predominating factor to make a website rule the web. AMP can act as a beneficial approach to optimize a website in the eyes of search engines along with attaining a brilliant user experience to gain mobile ranking at par. An added advantage is that users can be granted with the content access on carousel without visiting your website. Users can wait for the web pages to process and the time they feel your website to be worth, they explore it with easy scroll. It is a common fact that AMP ads give better results because of the quick screen display without buffering. With AMP integration in your ads, there is a more probability that they can be seen by large number of viewers. The mobile pages filled with carousel display offer a wide exposure to the ads. Thus, it is a win-win deal to pick AMP as your website rank booster. AMP gets you better clicks and thus results in better conversion rates. Conversion is all about traffic redirection to your website pages that can results in overall ranking boost in search engines. 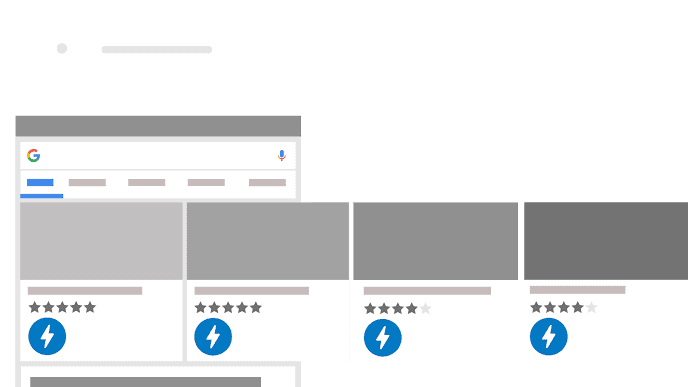 This is the reason AMP is the talk of the town and the websites with AMP label are more likely to be clicked and thus produce improved click-through rates. It also signifies that the end-users will not feel disheartened with slow load speed of your web design. The site speed not only saves time but also gives users a better feel and they will never get frustrated and think of leaving your brand website. Bounce rate is for sure an essential factor to improve the website ranking and thus needs to be maintained well. AMP is the ultimate solution that can guarantee stable SEO results for your business. With the fresh Google updates coming each day, it is a compulsion for the site owners to push their limits in the mobile view. A major need here is to present the content of the mobile device in an eloquent manner. AMP is one such effort by Google with a motto of generating better CTR, conversions and SEO results. Precisely, you will have a better website with improved load speed so that users will never bounce back. Tom Hardy has hands on experience as a SEO Expert. He currently works at Sparx IT Solutions: SEO Services Provider and offers exceptional SEO auditing services to the global clientele. Also, he writes informative blogs and articles on varied SEO related subjects and helps readers know the best tips how to optimize a website over the web using SEO tools and techniques.